The success of BRM and the commitment to our customers has been recognised by some outstanding manufacturers. Now they are proud to allow us to represent their products, something that is never done lightly. 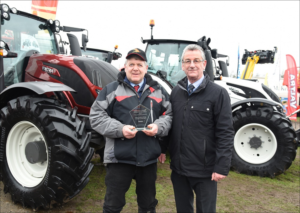 These highly regarded franchises include Valtra, Amazone, Trioliet, Joskin, Karcher, Krone, Merlo and Polaris, alongside some other fantastic manufacturers. This level of quality helps us guarantee some great solutions for our customers needs. With this in mind, you can use BRM to find quality tractors, farm trailers, pasture toppers, diet feeders, telehandlers and forestry equipment. Regardless of your budget, BRM can help deliver a solution to meet your individual requirements. equipment is checked and serviced by our team of expert technicians. This means of course that you can always buy from us with confidence. However, depending on your usage, our agricultural hire service could be a more cost effective option. Our dedicated fleet of muck spreaders and our slurry tanker are always serviced and ready to go to work. But we’ll always try to help you out, if you need to hire some other agricultural or forestry machinery. Don’t hesitate to get in touch and see what we have in stock. BRM is the perfect solution for the on-going maintenance of your agricultural machinery. With this in mind we maintain a well-stocked parts department. In fact, over a quarter of a million pounds of spare parts and accessories are kept in stock at all times. We strive to keep the spares we know you’ll need to keep your agricultural equipment in full working order. 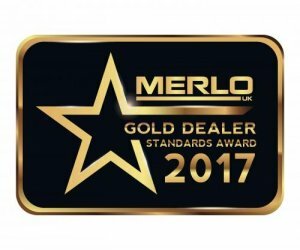 The award winning service at BRM means you can relax, knowing that our specialist technicians are always on hand. Be sure to rely on us for any servicing and repairs required. You can also take advantage of our testing services to ensure your equipment meets NSTS, LOLER and PUWER standards. In short, at BRM we always strive to find the best solution for your situation and budget. Explore our site today and discover what we can do for your business. Don’t hesitate to contact us with any questions you might have – our experts are here to help.